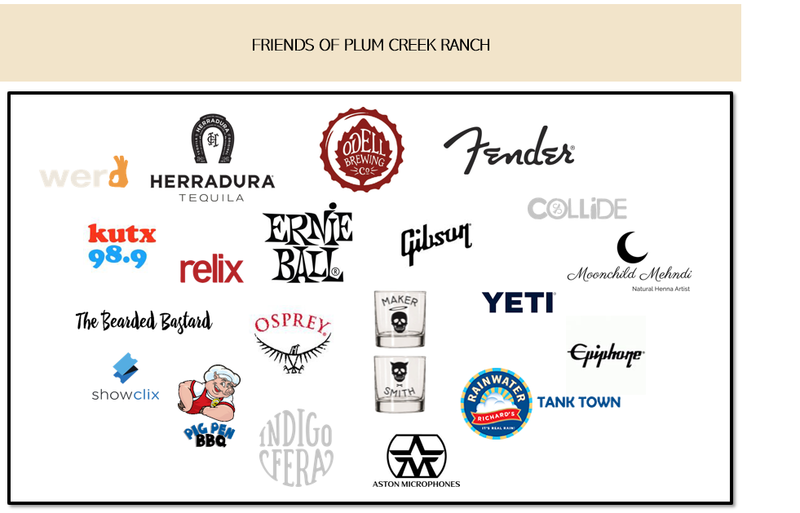 Plum Creek Ranch is a 15 acre live music, performance, and private event space located in Dripping Springs, TX. 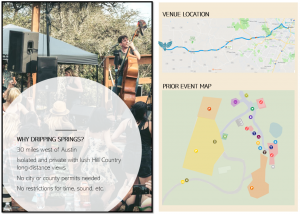 The space is also home to Plum Creek Sound Recording Studio and the annual From The Hills With Love music festival, recently featured as a top event by Austin Monthly. Focusing on private and corporate events, Plum Creek Ranch offers turn-key solutions and preferred vendors to meet the size and scope of your event dreams. With endless views of the TX Hill Country, outdoor performance stages, long bar, seating, and children play areas, Plum Creek Ranch is the perfect outdoor venue to host your next private event. I would be happy to set up a call or site visit with you soon! No restrictions for time, sound, etc. Multiple activation areas for food trucks, vendors, etc. These features combined make this the perfect destination from which to host your event.